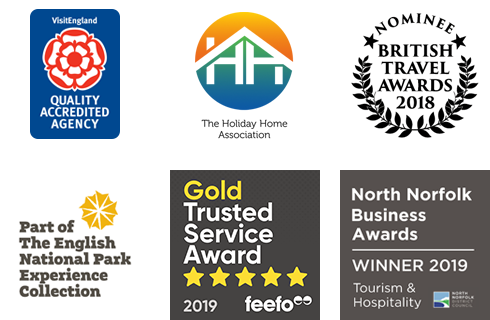 Our main aim is to make sure you have a fabulous holiday and, as our strapline quotes, that you explore Norfolk properly. To ensure you don't miss a thing and know exactly what there is to do and see, we have put together a host of information. Our 'Inspire me' section offers information and insider tips on the best beaches, walking, cycling, events and much more. Don't miss our visitor guides, which give you more detailed information on the different areas of Norfolk in terms of geographic highlights, heritage and cultural gems, food and drink and attractions. There's also our blogs. Published weekly and searchable by themes, they provide rich and varied insider tips and reviews on different elements of Norfolk from our team. Irresistible and useful inspiration guaranteed. Of course, it goes without saying that if, after reading everything (if you manage such a feat! ), you have any further questions or things you would like to know, we are always at the end of the phone or inbox and happy to help. Happy reading.